RPRT is very pleased to add Canadian born skater to the roster of athletes represented by the firm. Mark Appleyard has the distinction of winning both “Rookie of the Year” and “Skater of the Year” honors and will be a great addition to the team. Welcome to the fam Apple. We are excited to announce www.MyFDB.com will be coming on as title sponsor for the next Expose NY showcase. MyFDB.com is an interactive visual database and resource tool for the fashion industry. Expose NY recently announced a partnership with IMG’s Daily. 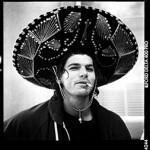 RPRT welcomes pro skater Geoff Rowley and DJ/Music Producer Piers Baron to the RPRT roster. Geoff is considered to be one of the best skaters alive today and will star in Flip Skateboard’s “Extremely Sorry” which premieres Sept. 16th at the Grove in Anaheim (an RPRT event). Piers scored the soundtrack for the film and has been working with some incredible name in rock, punk and rap to make this album extraordinary. RPRT’s Matt Meyerson was quoted in Today’s issue of the Examiner. The article dealt with blogging and product gifting. To read the complete article please go to the Examiner.com website. IMG’s Daily and Expose have formally agreed to partner on the upcoming Spring ’10 season for Fashion Week. Expose NY will be a part of the Daily’s well trafficked Style Suites and the event will extend from one day to two. More details soon!!! 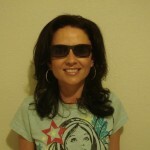 RPRT Welcomes Jenni Pulos to the Roster. RPRT would like to welcome Flipping Out’s (Bravo) Jenni Pulos to our roster of PR clients. Jenni is the co-star and creator of the show and is a multi-talented actress, rapper and comedienne. RPRT to help throw Project Bash! 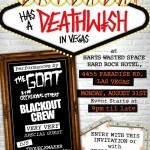 RPRT, in conjunction with Kimba, Erik Ellington, Jim Greco and Cary Hart will be hosting a Brigada Has A Deathwish party on August 31st at Wasted Space in the Hard Rock Hotel. This party will be invite only and will celebrate the trade shows that are in town for the week. RPRT is helping secure sponsorship, media and celebrity attendees. 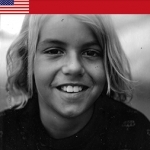 RPRT is stoked to add the future of skateboarding, Curren Caples, to our roster of skaters. Curren recently got 2nd place at the Coastal Carnage contest beating out legends like Christian Hosoi, Rune Glifberg and Tony Trujillo to take home a nice $6k payday. Welcome aboard CC. Maestro Knows – Episode 3 (Geoff Rowley) from Maestro Knows on Vimeo. We shot this video about two weeks ago as a day in the life of Geoff Rowley and Flip Skateboards. Check it out! Mark Appleyard was recently sought out to be the principal in a super secret Sony campaign directed by noted rock photographer, Autumn De Wilde. Mark will shoot this week in an undisclosed location. Congrats Apple! You are currently browsing the rprt: talent management, pr/marketing, events and branding blog archives for August, 2009.